Massive growth in Symbian a threat to iPhone? High-end smartphones such as the Nokia N95 and Sony Ericsson W950i Walkman are becoming increasingly popular. Some 15.9 million Symbian -powered mobiles were shipped in the first 3 months of this year. The latest figures from Symbian represent a 35.9 per cent increase on the number recorded for the same quarter last year. The increasing dominance of the Symbian smartphone platform demonstrates the difficulty facing Microsoft 's Windows Mobile platform and the soon-to-launch Apple iPhone . Making headway into the lucrative high-end smartphone market is not an easy task. Since the Symbian platform launched in 2000, over 126 million Symbian smartphones have been sold. There are now 114 Symbian mobile models on the market - 73 per cent up on a year ago. 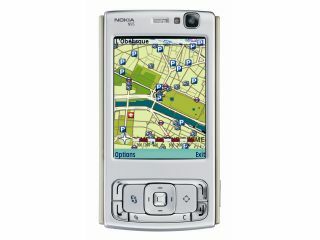 Nokia has led the way for Symbian with numerous popular S60 handset including recently the N73 and N95. The latest estimates for smartphone usage worldwide give Symbian a 72 per cent share of the smartphone market. Windows Mobile takes around 6 per cent and Linux around 17 per cent. With the latest Windows Mobile 6 release, Microsoft is hoping to boost its share of the smartphone market. However, the Apple iPhone is set to enter the market in June, bringing the OSX platform into the smartphone arena for the first time. A recent survey suggested that 6 per cent of US mobile users would be interested in buying an iPhone. If that aspirational figure for the high-priced handset is translated into real sales, it could give Apple a significant share of the market. Apple, however, is projecting sales of a more modest 10 million iPhones, or 1 per cent of the mobile market, in its first year. Nokia chief Rick Simonson was quoted this week as welcoming the Apple iPhone as a device that could help the market for feature-rich multimedia devices - such as its Nseries Symbian range - to grow.